1-CD-Album Digipack with 32-page booklet, 28 tracks, playing time: 66:53. Bobby Charles' recent death marked the passing of a New Orleans legend! 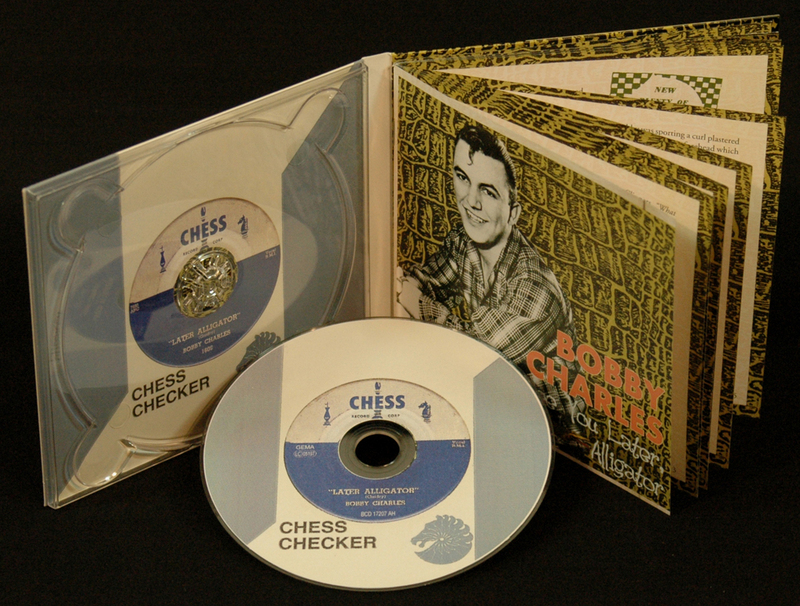 Bear Family salutes a true originator with a complete edition of his Chess recordings. Includes his original hit recordings of See You Later, Alligator and Don't You Know I Love You (You Know I Love You) - a song featured in 'Forrest Gump'. Includes rare photos and notes by New Orleans music journalist Rick Coleman. 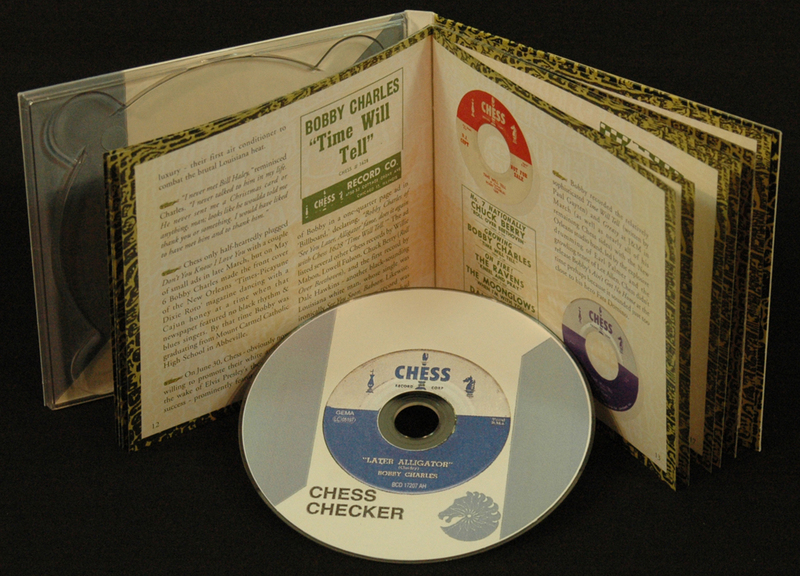 See You Later, Alligator and a record store owner played it for Len Chess at Chess Records. Chess signed him thinking he was black. Although Bill Haley covered Alligator and scored a bigger hit with it, Alligator launched a long recording career for Bobby Charles that also included the original version of a song that became a big hit for Clarence Frogman Henry, Don't You Know I Love You (You Know I Love You), a song later featured in the hit Tom Hanks movie 'Forrest Gump'. This set is a fitting tribute to one of the unsung heroes of New Orleans music. 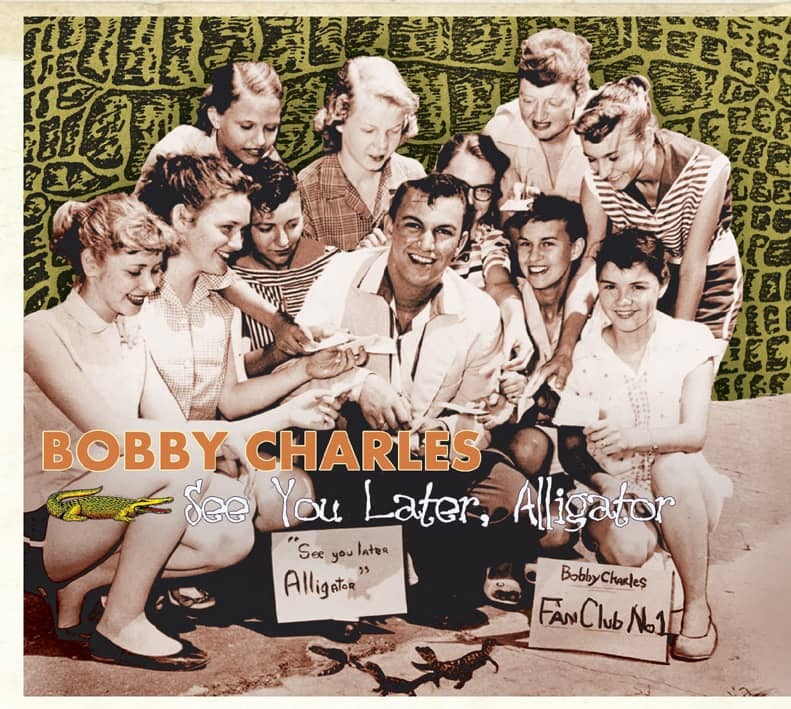 And speaking of that, Bobby Charles also wrote Fats Domino's classic Walkin' To New Orleans. Bobby Charles... gone but by no means forgotten. Late at night after a gig in Abbeville, Louisiana a local white R&B band named the Clippers stopped at the Ol' Midway, a local 24-hour restaurant. Finishing his meal, lead singer Bobby Guidry was leaving with the guitarist, who was driving him home. Bobby turned to the pianist, who was still eating, and said, "See you later, alligator!" In 1955 Bobby Guidry was a 17-year-old Cajun teenager from Abbeville, Louisiana--population 9,308, in Vermilion Parish, just south of Lafayette. "I come from a very poor family," he noted. "We never really had a car, a TV, or anything. We just survived." Emory and Edwina (Richard) Guidry raised four children; he delivered gasoline to rice farmers in the area and she was a housewife. 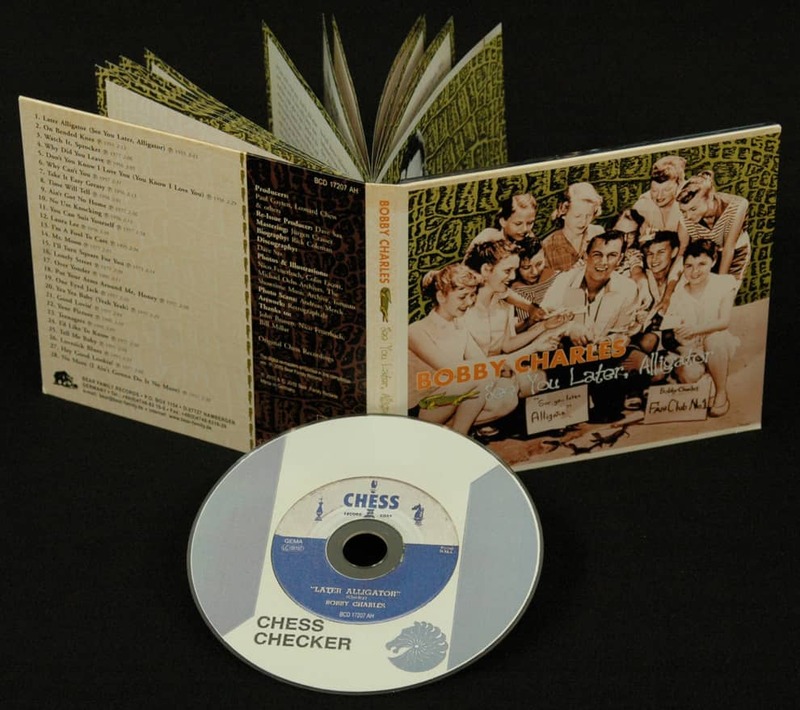 Bobby had grown up with his French-speaking parents listening to Cajun radio, but when they were bickering, he turned the dial and discovered the amazing sounds of country and rhythm & blues--notably his idols, Hank Williams and Fats Domino. Warren Storm, who went on to swamp pop fame, was a school chum; they recorded demos in the bathroom and traveled to New Orleans to see Paul Gayten's band play at the Brass Rail. Bobby loved R&B so much that he joined a band called the Cardinals including musicians older than him who attended Southwestern Louisiana Institute. According to another Abbeville musician, Ned Theall (later the leader of the Boogie Kings), guitarist Larry Guidry started the Cardinals playing Guitar Slim and Earl King songs with a black harmonica player/vocalist named Raphael, who went over well in the white clubs, but hotels and restaurants banned him. After Bobby joined, Larry changed the band's name to the Clippers. "What a band!" , Theall declared in his book-length autobiography on the Boogie Kings' website. "The Clippers were a huge influence on local music for many years to follow." Within weeks of Bobby's hiring, the band had three saxophones, college men Harry Simoneaux, Carlo Marino, and Raoul Prado, and a rhythm section including pianist Edwin Leblanc and drummer Kenneth Theriot. Back at the Ol' Midway, drunken girls and guys in the booth near the door heard Bobby's farewell to his gator—a phrase which was popular in the Louisiana swamplands, where alligators were a plentiful nuisance; people hunted (or raised) them for their leather and meat; Bobby in particular had a pet gator in his pond. A girl replied to his hip salutation, but Bobby didn't quite hear the reply as he exited the restaurant. He went back inside and asked her, "What did you say?" "After a while, crocodile!" laughed the girl. "I love you!" smiled Bobby. He went home and stayed up all night to write his song. His dad, who had to get up before dawn to drive his truck, yelled at him to turn the light out. "I used to always make up songs," stated Bobby. "It's a gift from God is all that can see, 'cause I can't read or write a note of music. I can't play any kind of musical instrument. For some reason the songs just come out. But if they don't come from the heart, they don't come out." Not long afterwards Bobby was thrilled to see his hero Fats Domino in person in Abbeville at Robinson's Recreation Center. He was one of the few white faces in the hall, but he bravely went up to meet Fats afterward. He even told him he had a song for him called See You Later, Alligator. "I don't know about alligators and stuff like that," laughed Fats. "You gotta listen to this song," pleaded Bobby. "I just finished doin' a session," said Fats, "but maybe later on." Bobby was disappointed but his band played at a high school graduation dance in Crowley, and Bobby sang See You Later, Alligator. The young Cajuns really liked the song; they requested it five or six times. Charles 'Dago' Redlich, who owned Dago's Record Shop in Crowley, came up to Bobby afterwards and told him that Leonard Chess had told him to let him know if he ever heard anything exciting. 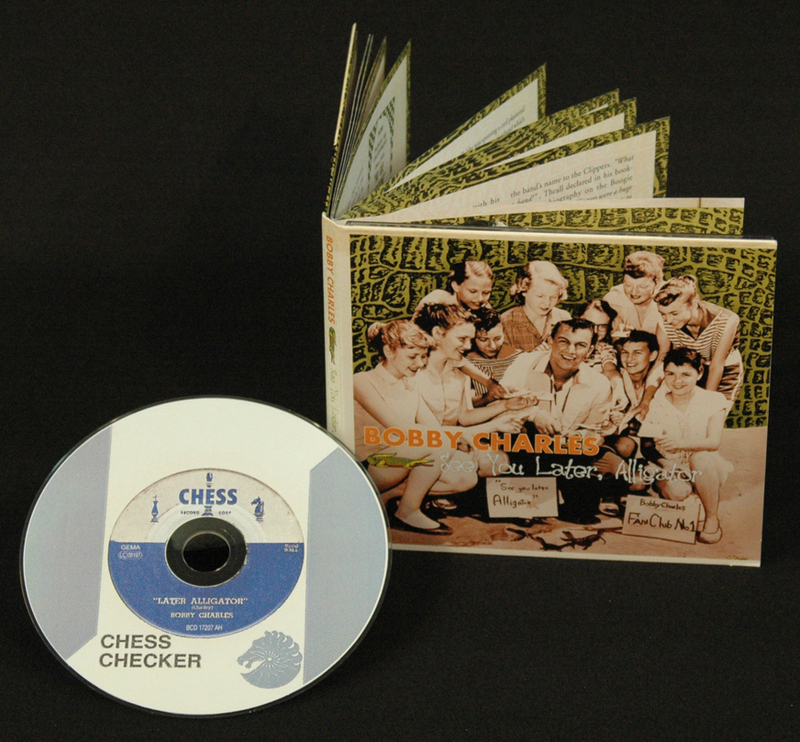 The next day at the record store, they called collect to Chess, who asked Bobby to sing him the song. So Guidry sang his alligator ode to a man 1,000 miles away in Chicago. Leonard liked the song. "You go to New Orleans," said Chess, "I'm gonna call Paul Gayten. He'll arrange some studio time for you at Cosimo's. And he'll get the musicians." Bobby bristled; he told him that he recorded with his own band or no deal. After some discussion, Chess agreed. Guidry and his band headed to New Orleans one night after a gig in October 1955. They went right into J&M Studio "as tired as can be" and recorded See You Later, Alligator. The rhythm section beat out a rapid shuffle with drummer Kenneth Theriot plastering his snare drum, the saxes and guitar sawing the song's riff, and pianist Ed LeBlanc manically plinking the high keys (until his fingers periodically wore out). Tenor sax man Harry Simoneaux jumped in midway with a solo sounding appropriately like a goose honking frantically as a gator chomped it. Bobby delivered his classic song in his gruff hipster's talk-sing. The phrase "see you later, alligator" may have first become popular around New Orleans, since, as Shane Bernard notes in his book 'Swamp Pop,' Mississippi keelboatmen used the slang "alligator" (later shortened by local jazzmen to "gator" and "gate") to refer to people both positively and negatively. On the other hand, Jim Dawson in 'Rock Around The Clock,' states that jazzmen (perhaps referring to big-jawed hornmen with 'chops') used the terms "gate," "gates," and "gater" to refer to hipsters who swing like a gate, leading to the puns in saxophonist Willis Jackson's 1949 instrumentals Gator Tail and Later For The Gator. In any event, the rhyming jazz jive talk of the 1930s and 1940s became popular with white youths in the 1950s, notably in this case, those in Louisiana with connections to both black music and alligators. Customer evaluation for "See You Later, Alligator"